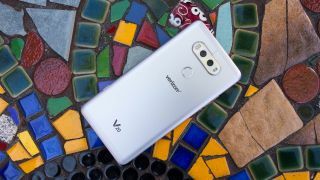 With the LG V30 set to be officially revealed at the end of the month, LG has announced that its upcoming flagship handset will incorporate an f/1.6 aperture camera in its dual camera setup. This means LG V30 will have the largest aperture among all other current flagship smartphones, allowing for 25% more light to reach the sensor than the f/1.8 lenses featured on last year's LG V20 and this year's LG G6. That, in turn, means you'll be able to use faster shutter speeds for shake-free photos. Will the LG V30 camera really outperform the Galaxy S8 and iPhone 7 Plus? Along with its larger aperture, the LG V30 also boasts LG's glass Crystal Clear Lens, which is said to be superior to plastic lenses when it comes to collecting light and color reproduction – something that's traditionally been associated with DSLR cameras. On top of this, LG also promises that the LG V30's camera will reduce edge distortion by up to 30% over the V20, allowing for improved wide-angle shots and group selfies. LG also revealed that the camera will be 30% smaller in size when compared to the V20, despite the inclusion of laser detection AF, optical image stabilization and electronic image stabilization. We'll know even more when the phone is unveiled on August 31, 2017.